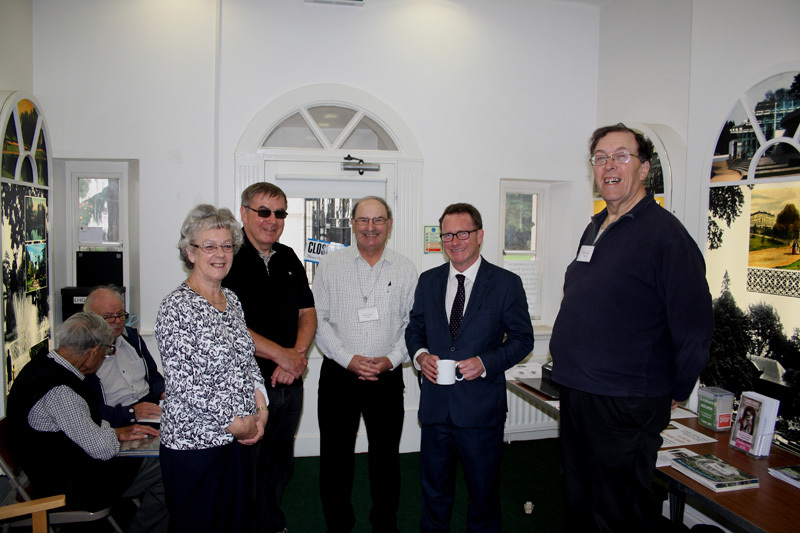 On 28th July, Leamington History Group were pleased to receive a visit from Chris White MP at their regular Tuesday morning meeting at South Lodge, Jephson Gardens. Barry Franklin, Chairman, and Michael Pearson, Vice Chairman, discussed with Chris some of the History Group’s on-going projects such as the commemoration of the 13 casualties of German bombing in Leamington during the Second World War and the forthcoming Local History Day to be held at the Parish Church on September 5th. 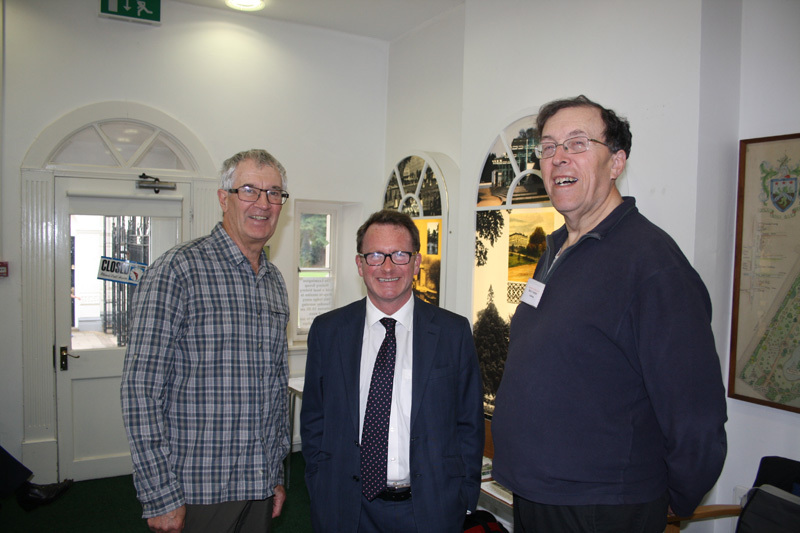 Another new project, being organised in conjunction with local Doctors’ surgeries, is to take presentations and reminiscence sessions to local Residential and Care Homes. Chris chatted to regular members of the group, and was also pleased to learn about the successful Free Walks programme run by the Group under the sponsorship of Leamington Town Council. The memorial to the civilian war dead will be cast in granite by a local stonemason. On completion, it will be placed at the foot of the cenotaph in Euston Place, and thus honoured at each Remembrance Day Service thereafter. Leamington History Group are looking to raise £1,100 towards the cost of the memorial, and would be pleased to receive donations. Contact Barry Franklin, on Bfranklin600@aol.com or on 07778 193103 if you are able to help. 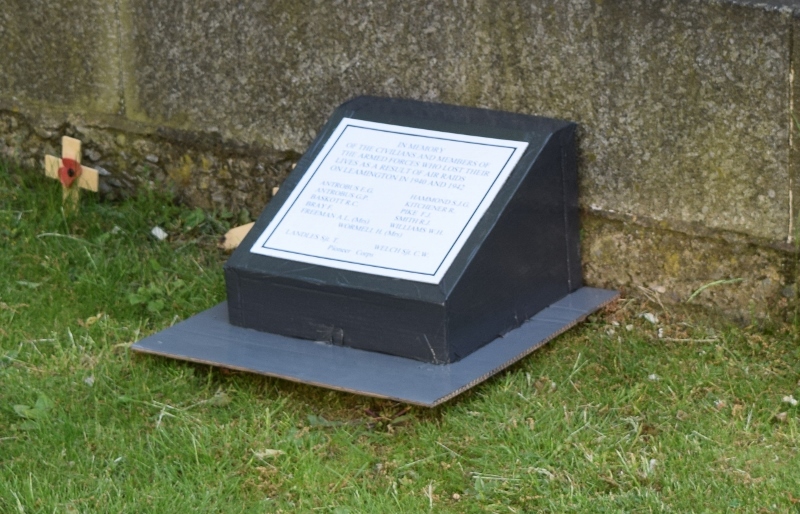 Click Here for more about this new memorial.